I may sound like a broken record, but have I mentioned lately how awesome our rescue is? 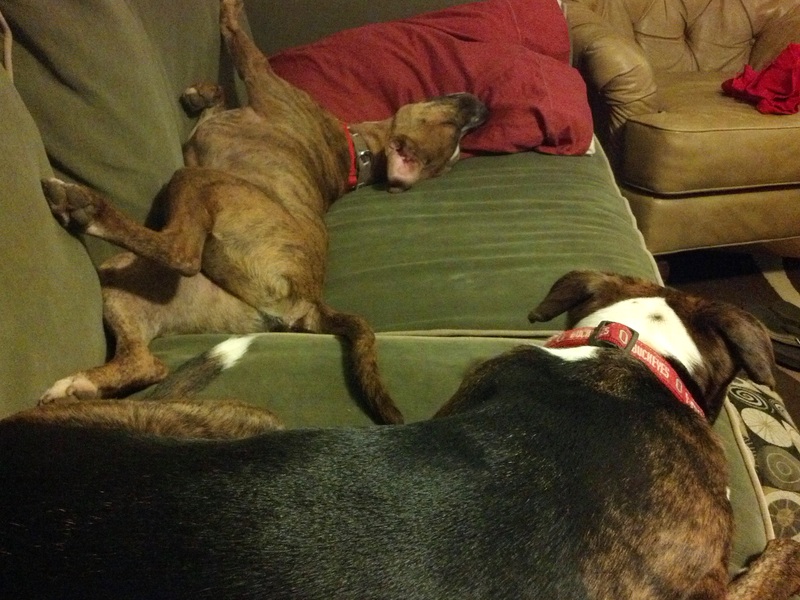 Agape really pulls out all the stops for their foster dogs. A few weeks ago, I met up with our foster coordinator, Kirsten, to shoot some footage of Cooper, just being Cooper. If a picture is worth a thousand words, then a video must be worth a gazillion. Because how could you not fall in love with Cooper after seeing this?? Are you and Cooper meant to be together? If you think so, please fill out an application with Agape Animal Rescue. 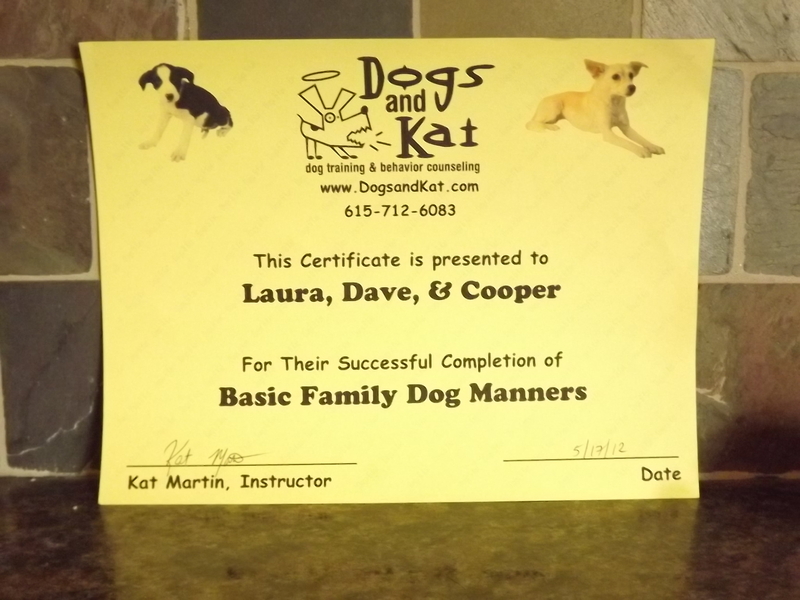 Last week, Cooper completed the Basic Family Dog Manners class with Dogs & Kat. 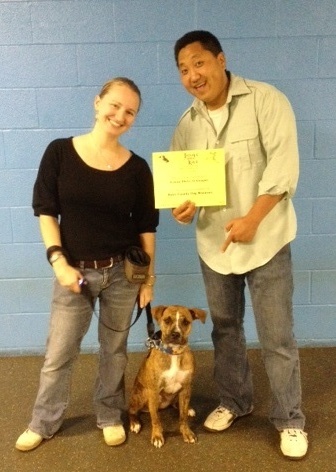 He passed his skills test with flying colors – We’re so proud of him! Next, we practiced the beginnings of what could be turned into “roll over.” For this task, we put Cooper in a “down,” then held the treat close to his nose and moved it back around his head. 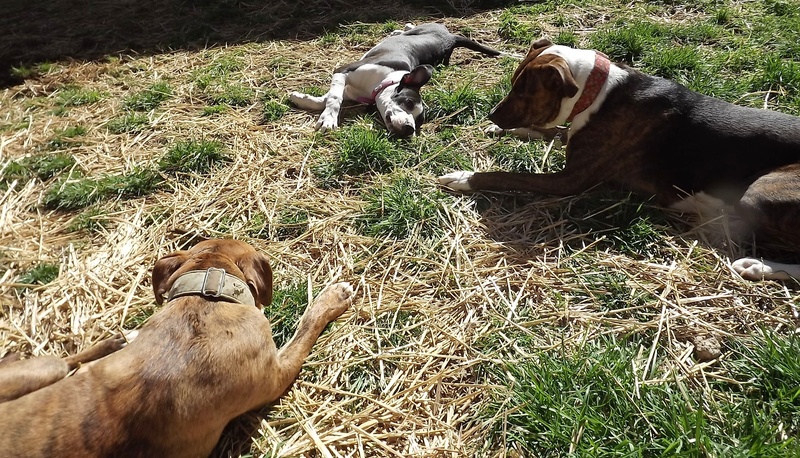 Some dogs are naturals at this and go the rest of the way, completing the “roll over” on their own…we are not quite there yet. Trust me, I was beaming with pride. Cooper did so awesomely amazing in his class, I couldn’t be more proud of him. He’s one smart cookie, extremely food motivated and loves to please his people – a training trifecta! 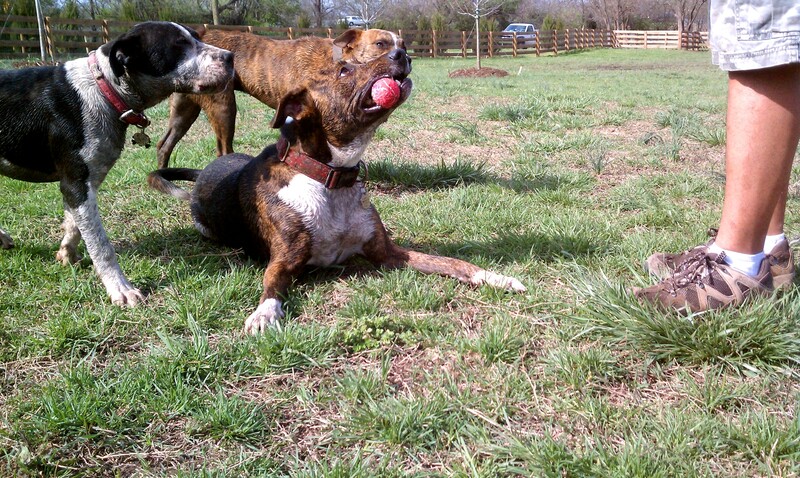 However, we are far from done with Cooper’s schoolin’ – he still needs to learn how to keep his nerves in check. So, next on the docket is Relaxed Rovers, also with Dogs & Kat. 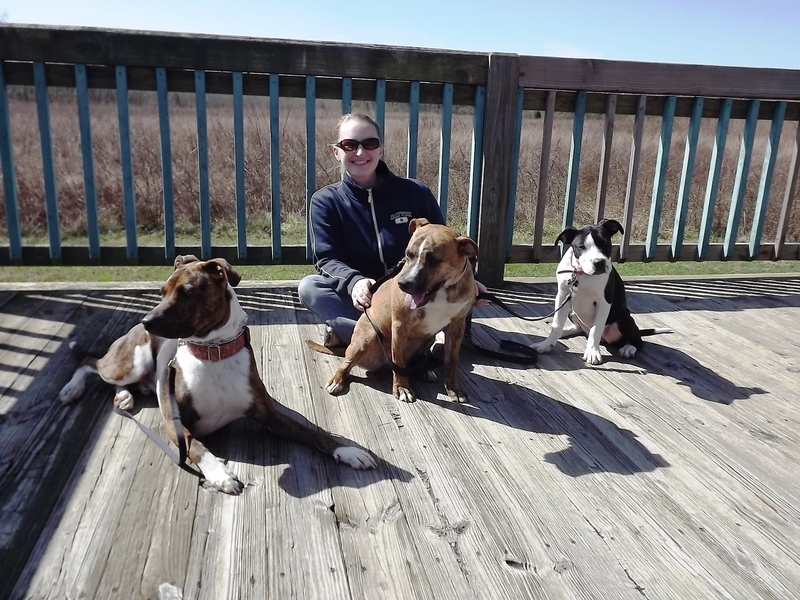 In Relaxed Rovers, “we work on helping dogs learn to be calm and focused on their people in distracting environments. This class is for dogs who have a hard time being calm, whether due to excitement, reactivity with other dogs or people (especially when on leash), anxiety, or just plain lack of focus.” I am extremely excited for this class – it’s just what the doctor trainer ordered for young Coop, and I’m looking forward to sharing updates on his progress. If you’re interested in adding Cooper to your family, please contact Agape Animal Rescue. As it has been previously determined, Cooper is Pig, and Roxie is Piglet. Not to be outdone, over the weekend Oscar reminded us that he will always be King Pig. 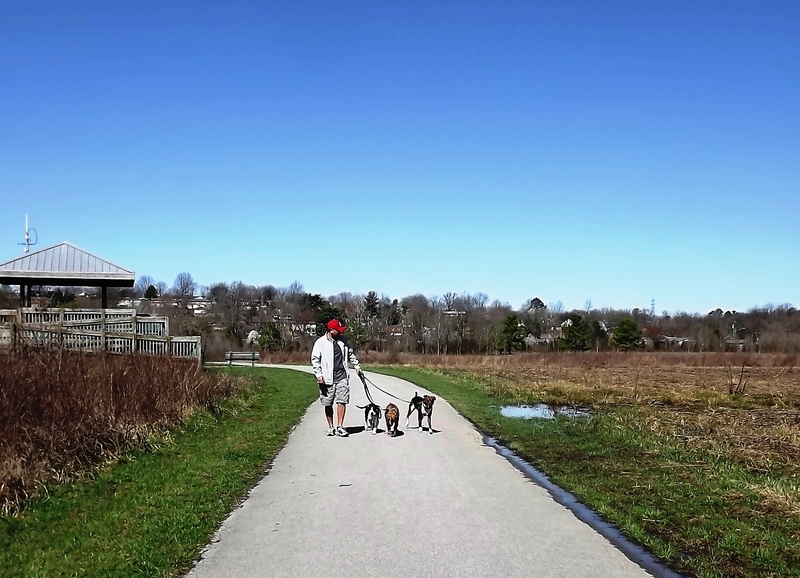 We discovered a new dog park over the weekend, and what it lacked in engineering foresight (ahem, horrible drainage planning) it made up for in pure unadulterated joy. 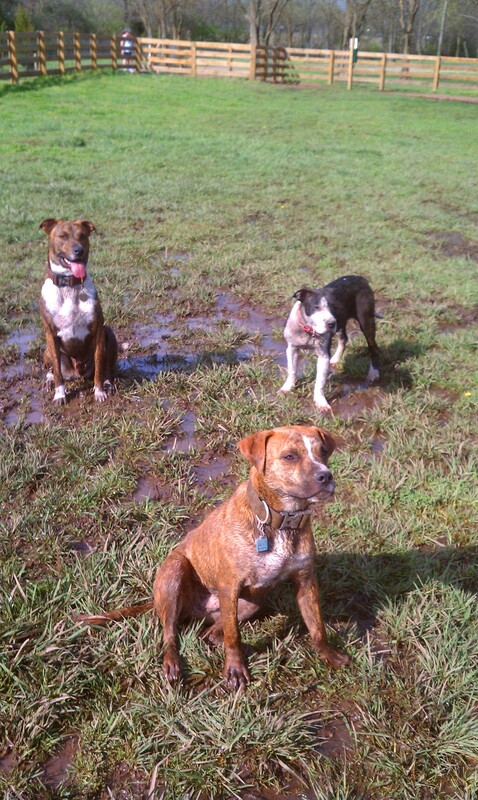 Three dogs + one muddy dog park + one beautiful sunny day = bliss. 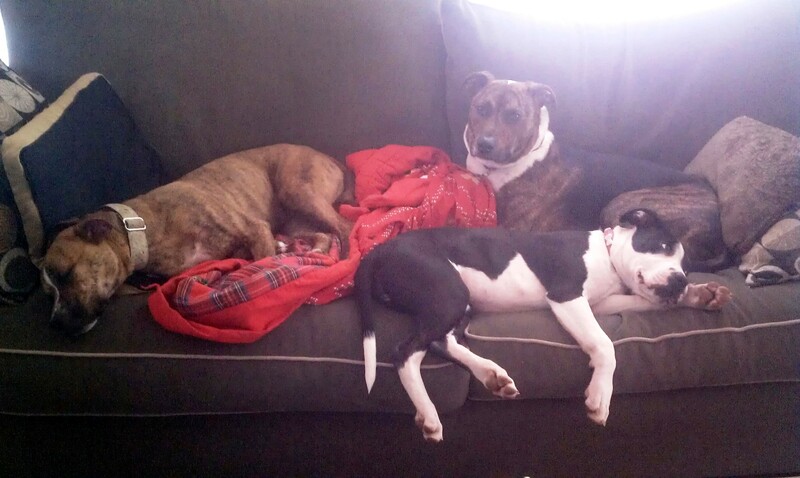 Seriously, I have never seen three happier dogs in my life. 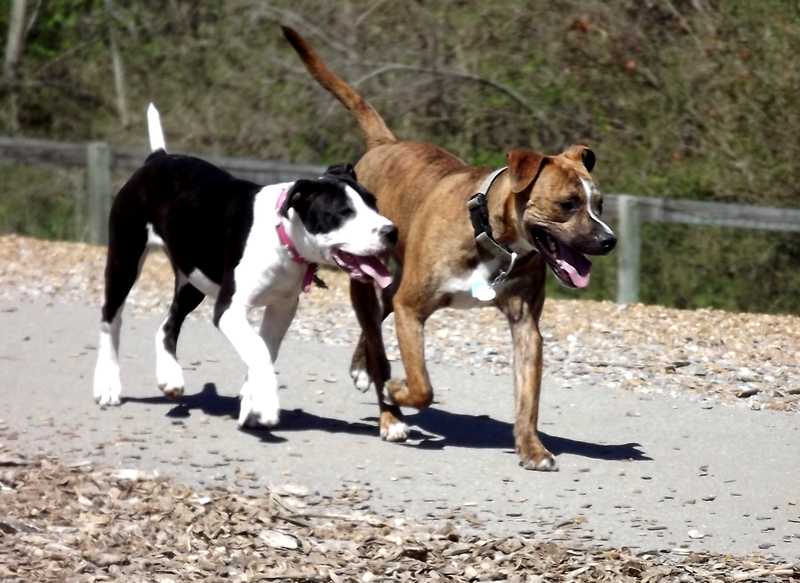 This was our second trip to the dog park in two days, and if I thought they had fun the day before…man, it was nothing compared to this. 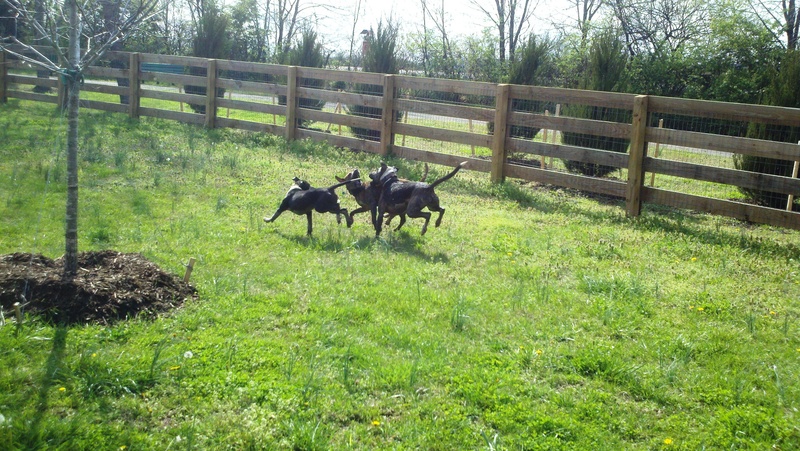 We hit the gate and it was like the previous day’s exhaustion had never happened, they were off to the races. 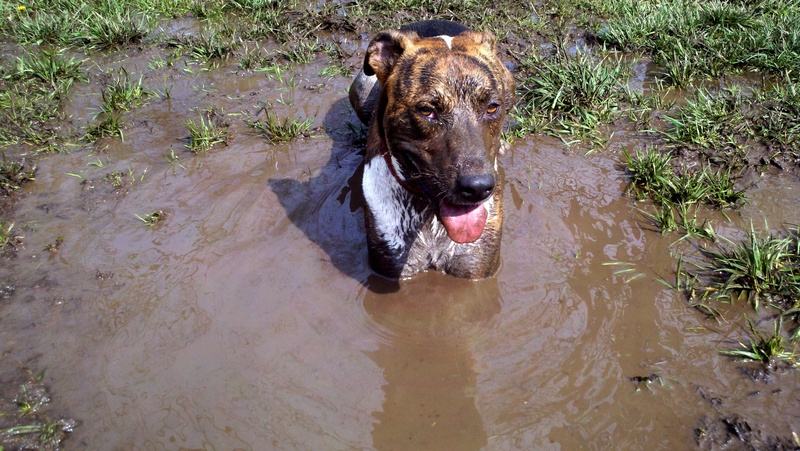 These were “zoomies” on a whole different level – these were Mud Zoomies. So needless to say, it was Bath Night again, just four days after the last time. And again, the Sirius Republic collars got a thorough cleaning, this time with a good old-fashioned hand-scrubbing with dish soap. But man, oh man, it was so worth it! If you’re interested in providing a Furever Home to Pig or Piglet (sorry, King Pig is taken), please contact Agape Animal Rescue. When we started fostering, we knew we’d be in for an adjustment period when we doubled the number of four-legged critters in the house. It’d be more chaotic, there’d be more noise and more mess. We also knew it’d mean double the puppy love, double the snuggles and double the hilarity. Now that we have three, the differences have been compounded. In addition to those things I mentioned above, walks and meal times have become way more involved. But for us, nothing can compare to the atmosphere of just plain FUN there is at Foster House right now. The biggest and most apparent thing we’ve noticed is that now with three dogs, we have become a bone-afied (ha!) pack. We never get tired of watching them interact with each other. There’s a hierarchy. They snuggle together. They trust each other. Sometimes two will gang up on the third. Sometimes a third will referee if play gets too rough between the other two. Most of all, they all have their own distinct and unique personalities. 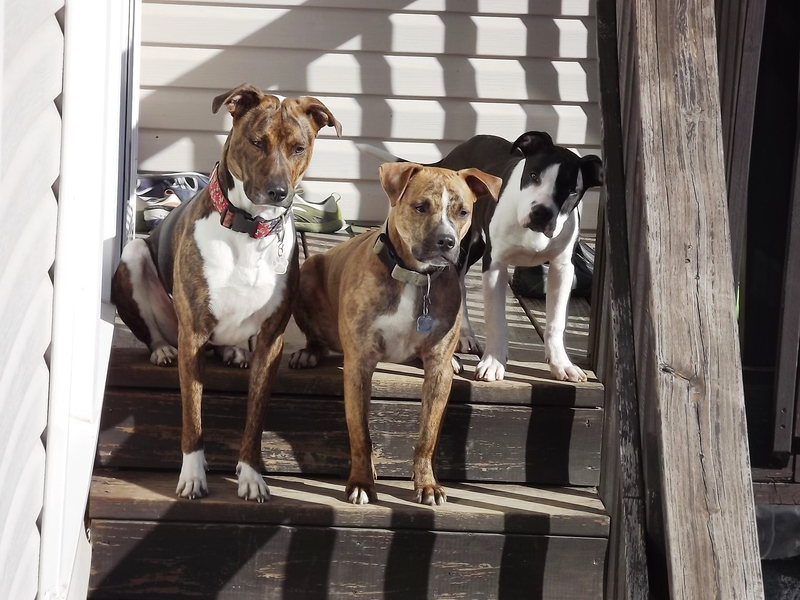 We never intended on being a three-dog household. And once one of them gets adopted, we may not be again – at least not anytime soon. This pack came together purely by accident – but what a happy accident it is! 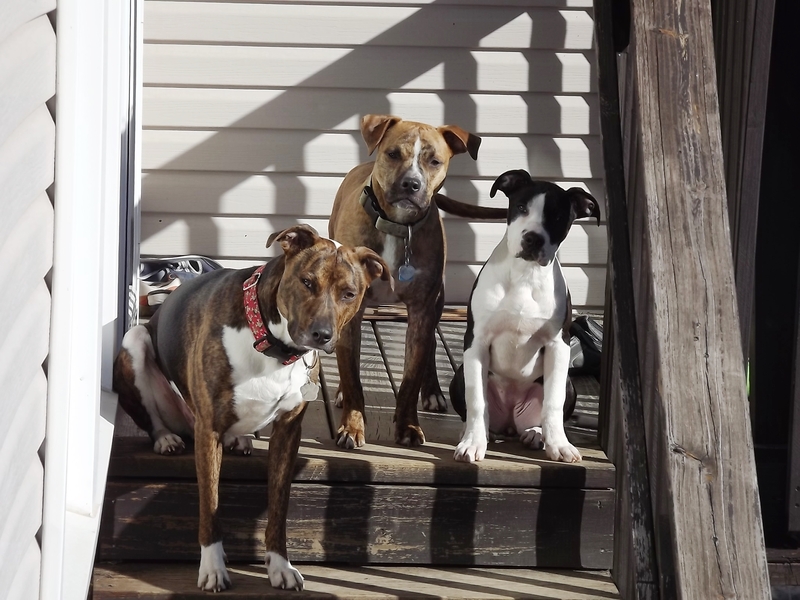 Yep, three dogs sure makes for a crazy household, and we know this won’t last forever – But for now, we’re lovin’ every minute of it. 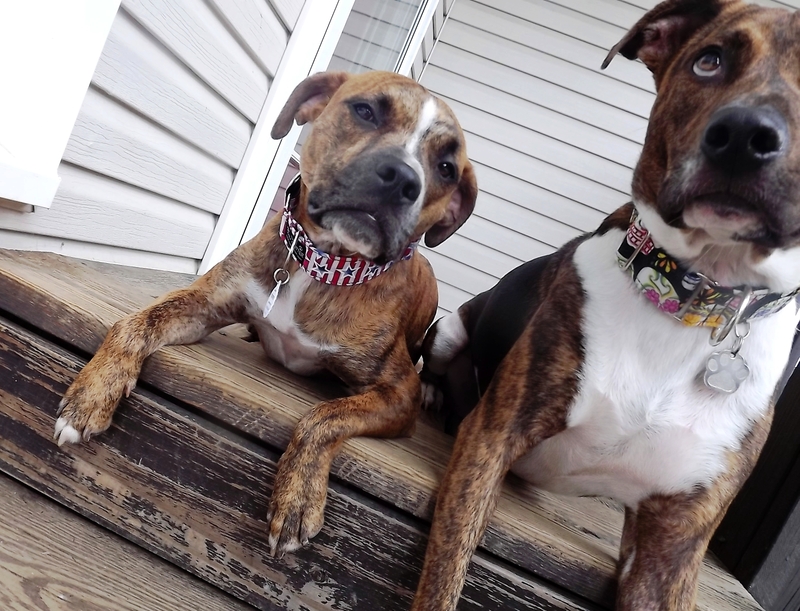 If you’re interested in adopting Cooper or Roxie, please fill out an application with Agape Animal Rescue. If Cooper is our Pig, Roxie is our Piglet. She’s a little pint-sized version of our Pig. First of all, she also completely idolizes her (nick)namesake – the two of them are inseparable! Secondly, she scarfs down food like it’s the last meal she’ll ever get. I know she’s a growing puppy who was underweight to begin with, but sheesh…she puts away kibble like it’s goin’ out of style. If you think Roxie is the Piglet for you, please fill out an adoption application with Agape Animal Resuce. She surprises us every day. She’s even just about mastered the Hardest Trick of All – “wait.” I took this video last night, on Day 11 at Foster House. She’s about got it down cold already! If you are interested in adopting this little genius, or her foster brother Cooper, please fill out an application with Agape Animal Rescue.